PALAXO joins forces with CANON Middle East to present the new paperless solutions and online services for Education market during the CANON’s Education for Live events. This is part of Canon commitment to develop Smart Education as a key pillar of Smart Dubai and to bring technology-enabled education into focus to address challenges faced by students, teachers, and administration. Many exciting CIRCULAROTM powered paperless online services and solutions are being showcased during the road show. Under its ‘Education For Life’ campaign, CANON Middle East is spotlighting its suite of solutions that address challenges brought about by the changing needs of key education sector stakeholders – students, teachers, and administration. 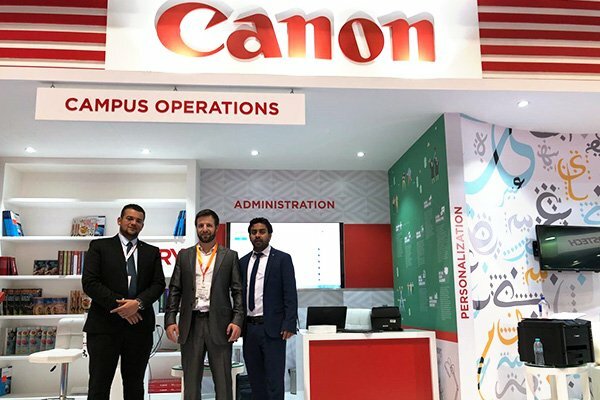 We are excited about this opportunity to work closely with CANON Middle East on creating new paperless solutions and online services specifically tailored to the needs of the Education sector. Comments, Pavel Cernoch, Sales Director PALAXO International. The Canon ‘Education For Life’ roadshow will be conducted in cities across the GCC and the broader Middle East region.